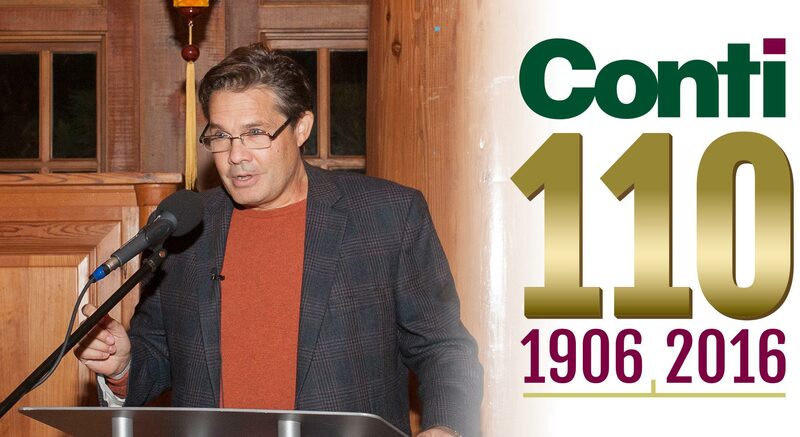 2016 marks the 110th anniversary for The Conti Group. The company, founded in 1906, commemorated this historic milestone on Saturday, October 15th with an evening of food and camaraderie at the Grounds for Sculpture and a local restaurant in New Jersey, where the firm has its global headquarters. Reflections on the past and future highlighted the celebration. The Conti Group Chairman Kurt Conti, who is the fourth generation in a long and successful legacy, began by looking back on his life’s journey building onto the company with its many expanding facets, as well as on the hard work of his family and its many trusted employees. He also set The Conti Group’s sights on future growth, as it continues to build new business ventures and develop impactful projects around the world, including the Anaklia Port and Free Industrial Zone development project in the country of Georgia that was signed in early October of this year. Kurt expressed his gratitude for the dedication of the employees who have pushed The Conti Group’s business ventures to new heights while staying true to its values and ethics. “Although the company has changed over our 110 years, our core values of honesty and integrity have never changed,” said Kurt.